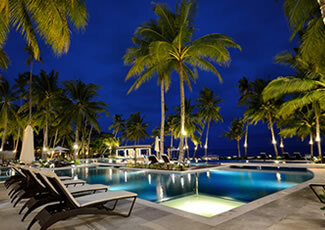 Indulge in comfort and leisure with every holiday at Henann Resort Alona Beach in Panglao Island, Bohol, Philippines. Here, each villa, room, and suite is touched by subtle elegance, providing perfect backdrops for romantic trysts, family gatherings, and getaways that rejuvenate the mind and body. 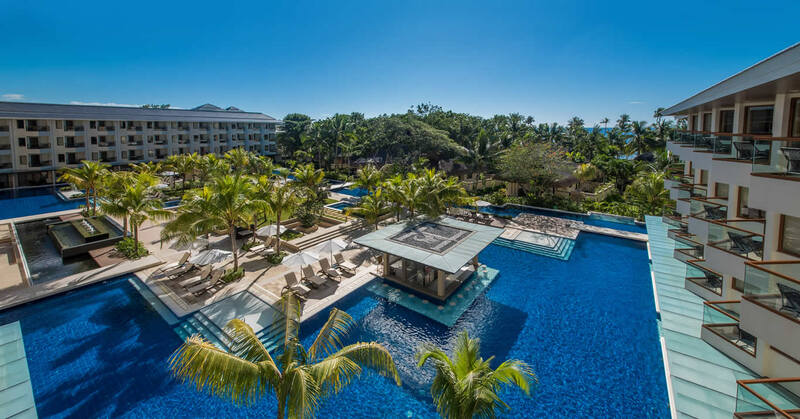 The lush scenery that surrounds the beachfront resort is complemented by leisure facilities such as Kai Regency Spa, 3 swimming pools, and several restaurants and pool bars. Aside from aiding pleasurable pursuits, the resort also lends its convention center, business center, VIP lounge, and meeting rooms to business travelers who wish enjoy convenient transactions and corporate events. 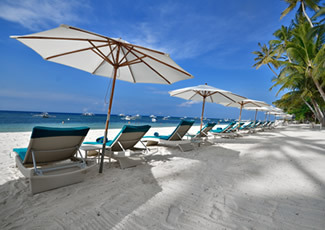 These and more can be found in an accessible address set along the white sands of Alona Beach. In addition to its scenic location, Henann Resort Alona Beach also serves as a base from which one can begin to explore the famous diving spots around Panglao Island. Delight in a cozy retreat at Henann Resort Bohol. 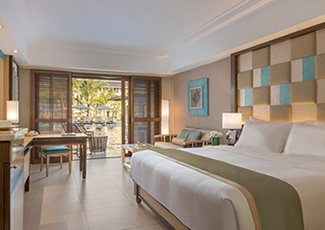 Our air-conditioned rooms are appointed with valuable amenities, creating a haven of relaxation for you. These include plush beddings, a cable TV, safety deposit box, Wi-Fi Internet access, phones, and refrigerator. All lodgings also have toilet and bath with bidet and hair dryer. Our facilities allow you to indulge in leisurely bliss. During your stay, excite your senses with a soothing massage at Kai Regency Spa. Satisfy your palate or have a drink at Coral Cafe or Piano Bar. Airport transfers, housekeeping, and currency exchange are also available at Henann Resort Bohol. Our resort is fronted by 120 meters of powdery white sand and crystal clear waters. If this is not satisfying enough, you can easily explore the locale as Henann Resort Alona Beach is just a short distance away from these attractions: Dumaluan Beach, Doljo Beach, and Hinagdanan Cave.